I just got home from a solo trip to Hawaii... to enjoy some sunshine, hiking and personal time and a yoga festival. And of course, being an addict like myself, some yarn. 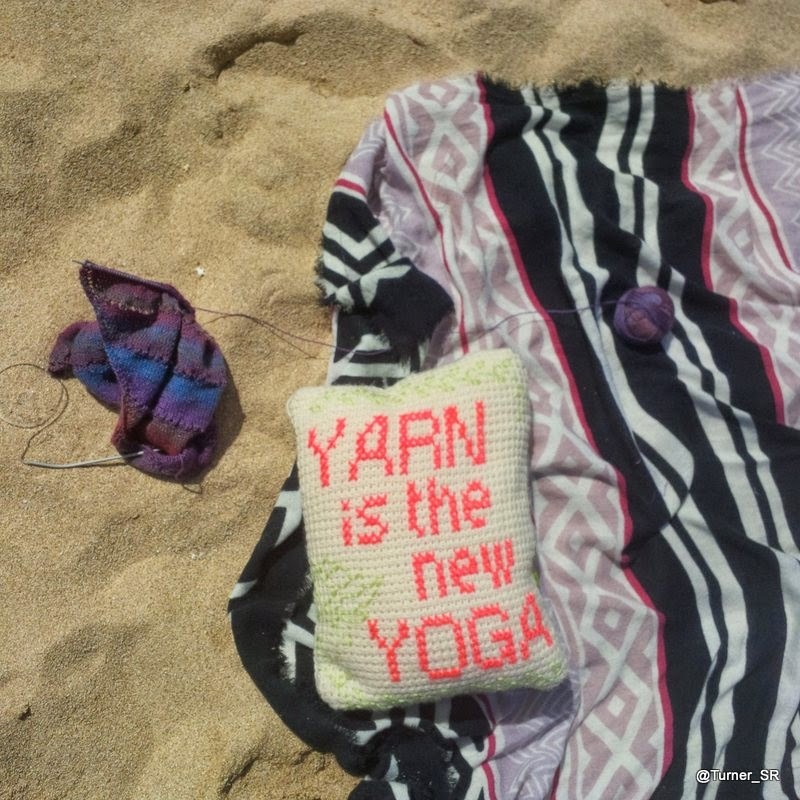 So I have to admit, I did a fair amount of beach knitting. Working on my Painted Desert Lace Shawl. In fact it's my very first shall and the colours of this yarn, in the candle light colourway, are just beautiful. I can't wait to decide what to do with the other two skeins of it I bought. 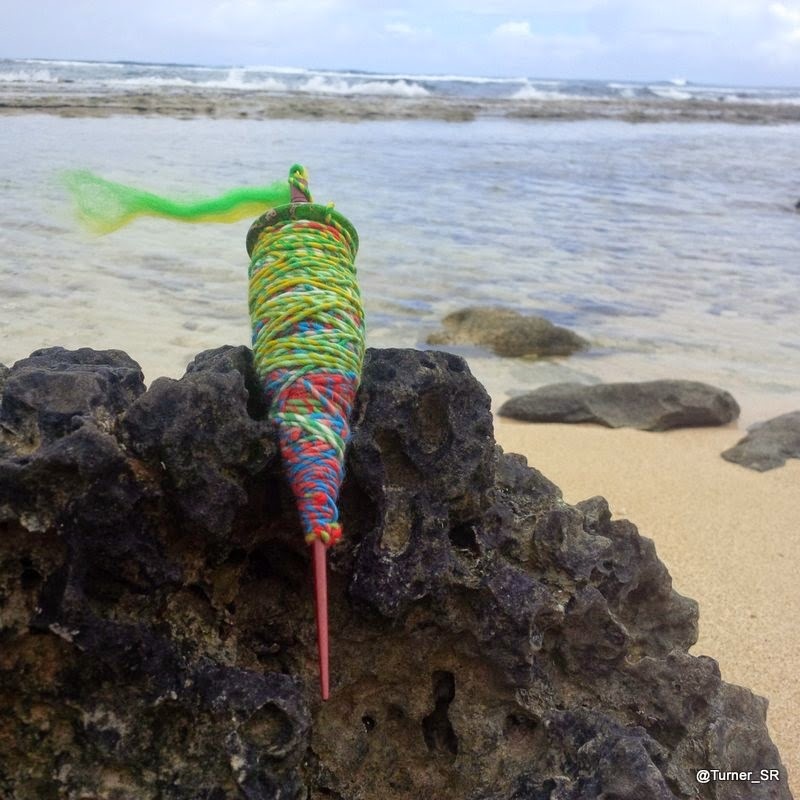 I also checked out the two local yarn shops on the island, Yarn Story in Honolulu, and Aloha Yarn in Kaneohe. Of course I bought some souvenir yarn at both shops, which I'll show off in a separate post. But one of the things I bought was 50 grams of Schoppel Wolle, 100% merino, pencil roving in the parrot colourway. 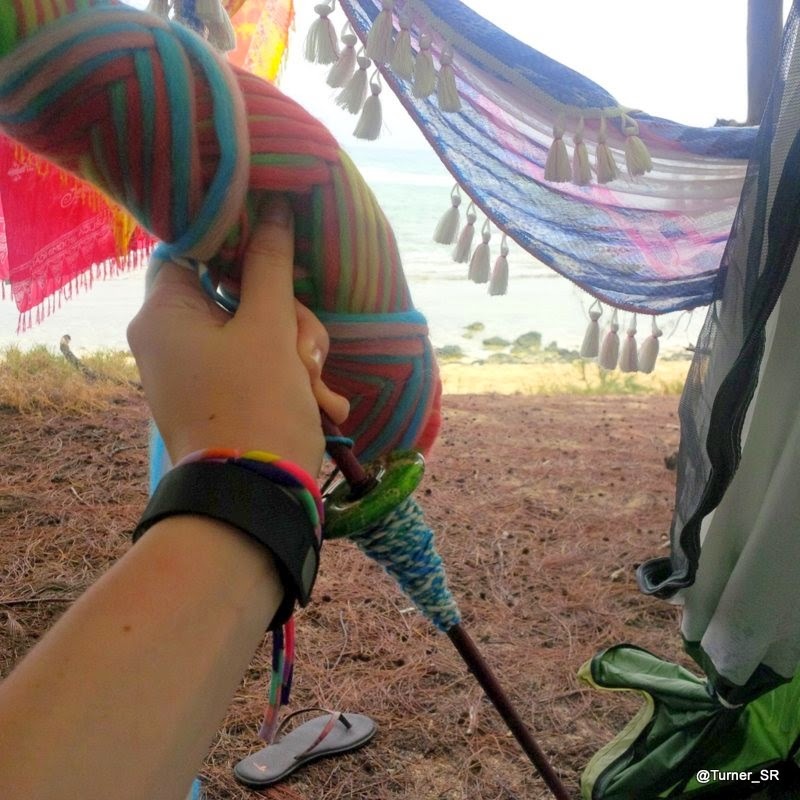 Which I promptly got to spinning, in my tent, on my new handmade spindle, while watching the waves crash on the beach in front of me. And it turned out beautiful, I can't wait to finish it, and knit with it. I don't have much, so I'm thinking it would look great in little stained glass windows outlined in black. So inspiring! 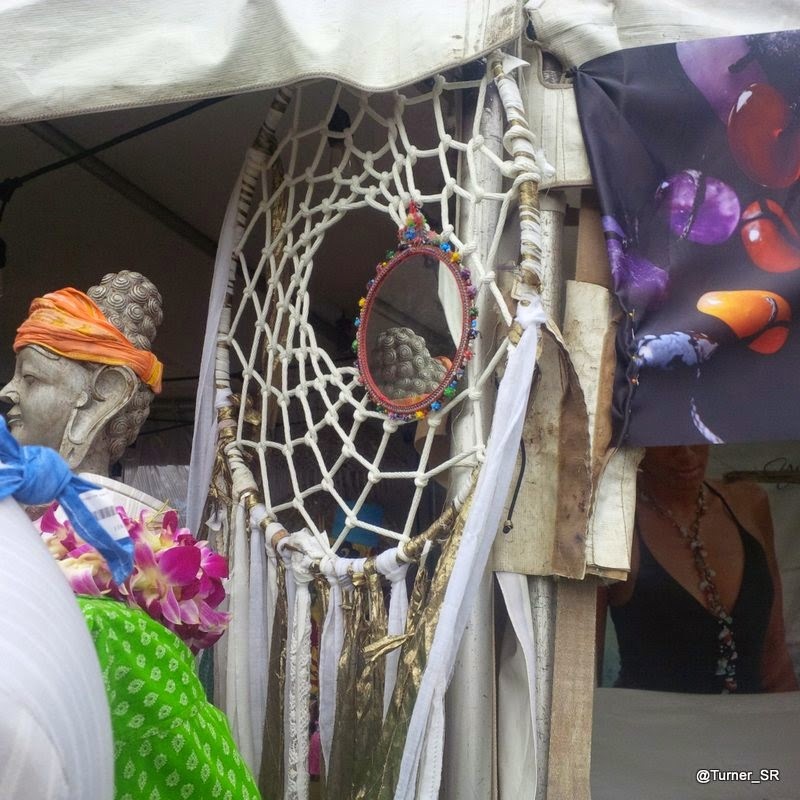 And speaking of inspiring, I saw this beautiful giant dream catcher at one of the vendor tents at Wanderlust, and I simply must make one for myself! I didn't just create while I was away, I also recycled. I found this blue cotton sweater marked down to just a couple dollars at the Forever 21 in Waikiki, and decided to unravel it. 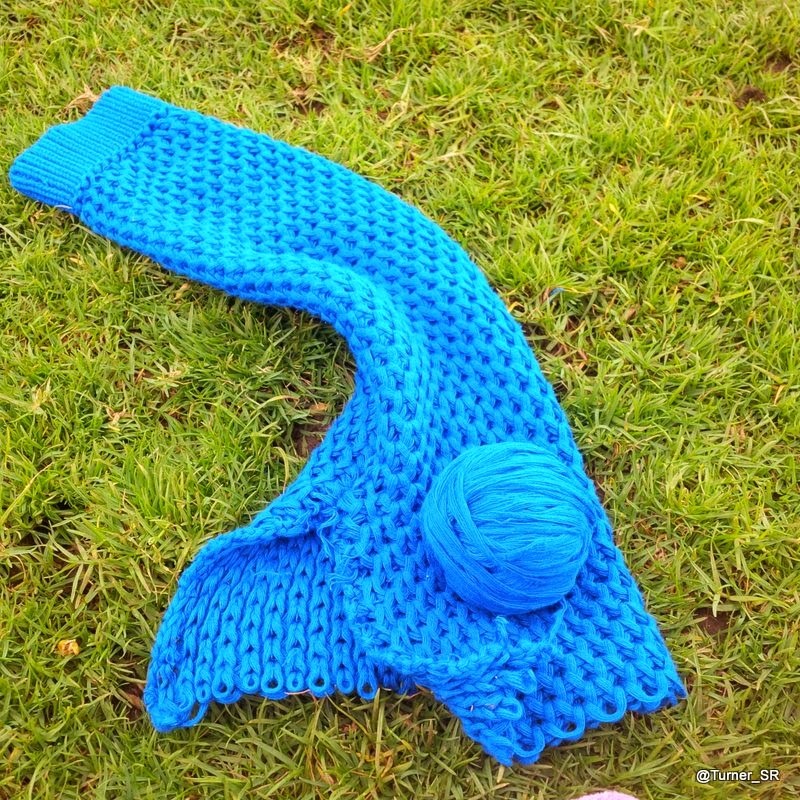 I've got a project involving over dying some of the yarn in mind for it. 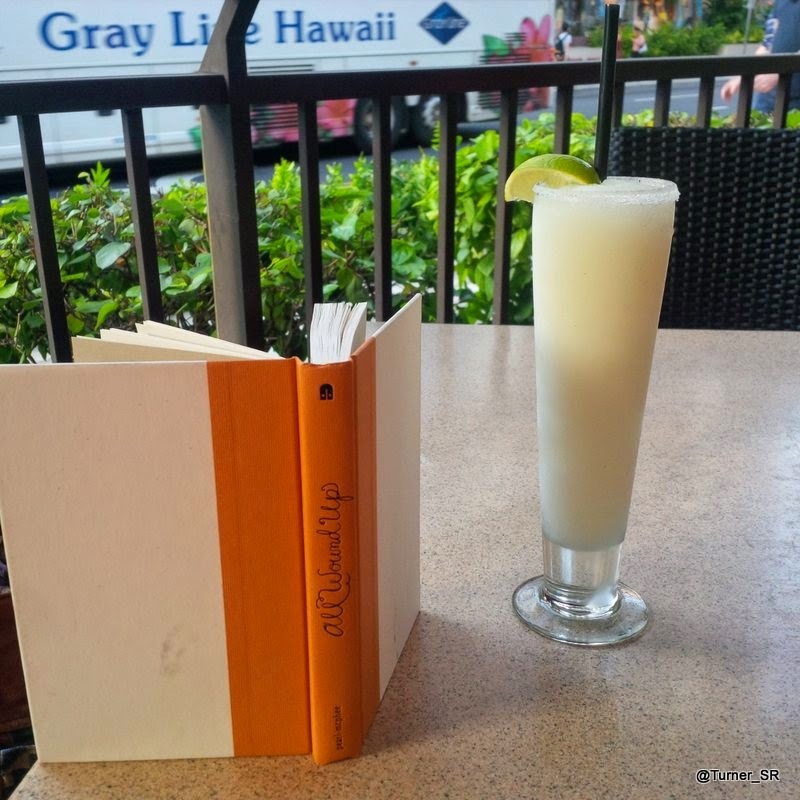 I of course always bring books with me on vacation, this time I ventured into the world of knitting novels, and read My life in Stiches by Rachael Herron, and All Wound Up by Stephanie Pearl-McPhee. I picked up both books in the mark down section at Chapters just before I left. Something about Stephanie...AKA the Yarn Harlot....it's so inspiring to see a fellow Canadian making her life as a Knitting-Writer! 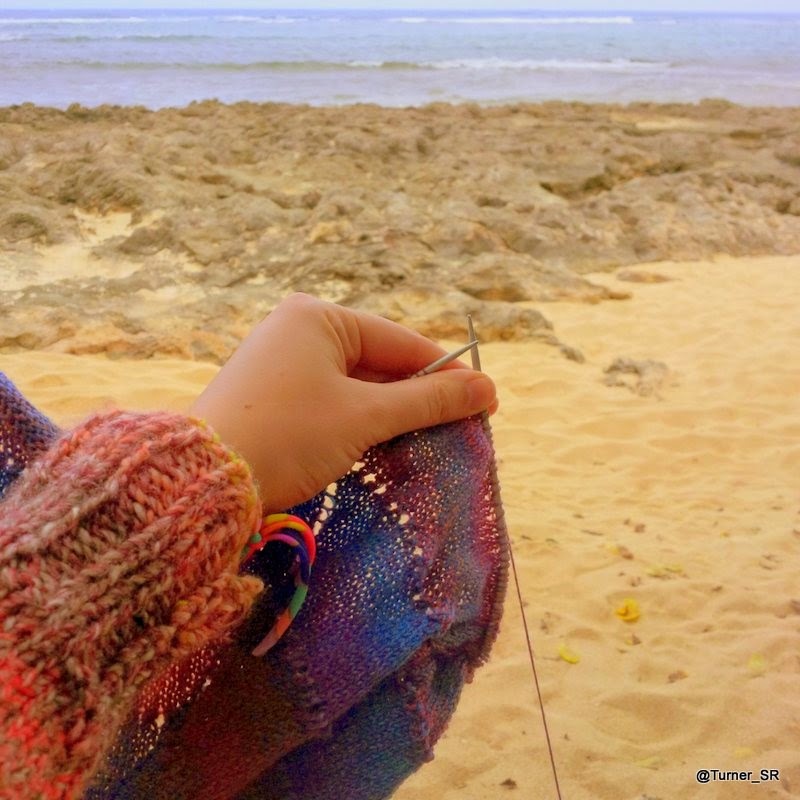 Overall the trip was amazing, and I swear I didn't have my knitting in my hands all the time.